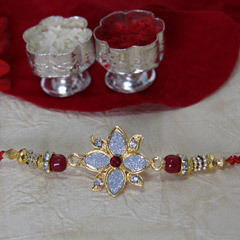 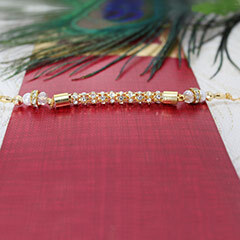 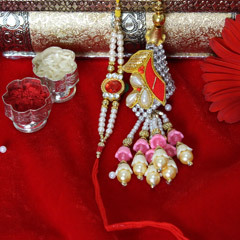 Sparkling Golden Bracelet Rakhi like this one is simply an awesome choice to make and win brother''''s heart. 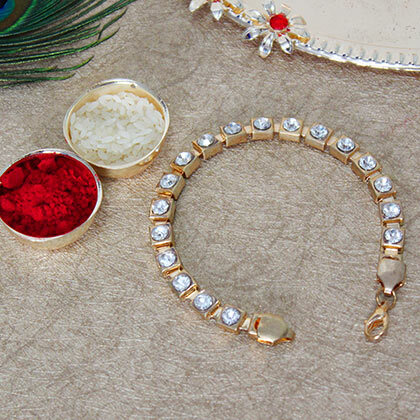 It''''s a trendy Bracelet Rakhi that is crafted and designed beautifully to let your brother wear it as Rakhi and flaunt in style as a Bracelet. 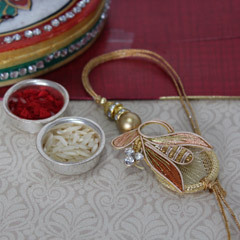 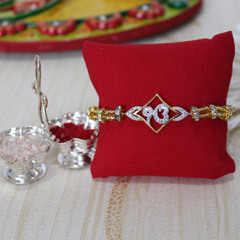 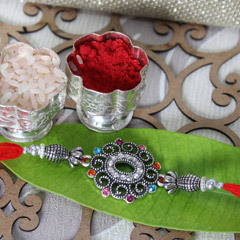 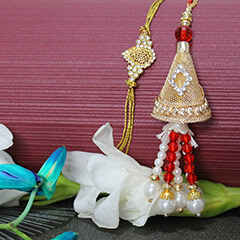 For his tika, this Rakhi will come chawal and roli too.